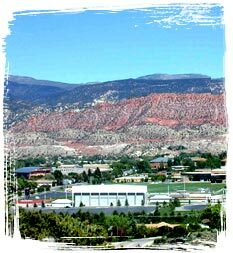 Cedar City Utah is an excellent choice, when considering travel destinations. Its close proximity to a multitude of National Parks has earned this Utah City the reputation of "Gateway to the Parks". The "Utah Shakespearean Festival", recipient of the Tony Award, is hosted each year in Cedar City. This event takes place during the fall and summer months. In the winter months Brian Head Ski Resort, just a half hour drive, tops the list of popular destinations near Cedar City. For visitors, we've compiled multimedia presentations to bring you into the scenery. You'll also find plenty of resources for planning your trip to the Southern Utah area. For local residents and students, we've put much of the hard-to-find information right at your fingertips as well as share some of the little-known jewels of the area. So whether you're just visiting, living here or planning a move to Utah's playground, you've come to the right place.